Don't worry about looking square when dressing these kicks with skinny jeans! Our Classic Platform Square style in Blue are an excellent pair to mix and match with your wardrobe. 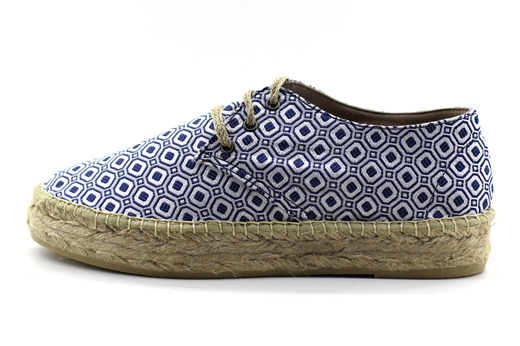 With a higher jute sole, these women's espadrilles have matching braided jute laces as well. Laro Espadrilles are handmade in Spain and equipped with vulcanized rubber soles.